Q. What’s the advantage of a stove instead of open fire? A. When using an open fire/ classic fireplace, 40% of heat escapes out of the chimney whereas the efficiency of a stove will disperse the heat throughout the room of occupancy. Also a stove is able to be left lit when unattended because of the construction containing your fire, if any open fire is left unattended then there is a risk of your house insurance becoming void. Q. 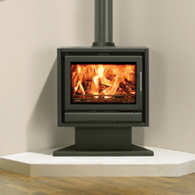 Is there an advantage of having a wood burning stove rather than multi–fuel? A. Wood is a renewable source making it more of an environmentally friendly option; the amount of carbon dioxide released into the atmosphere is approximately the same as that absorbed by the tree during growth. 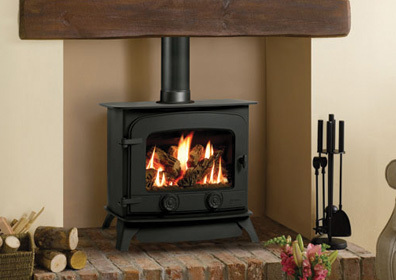 As well as being green, wood is the most cost effective option when fuelling your fire. Q. 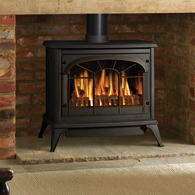 Can I burn my household rubbish in my wood burner? A. 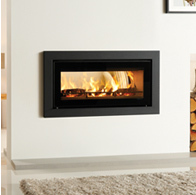 It is not recommended that anything other than wood and multi–fuel is burnt in an appliance. This is due to the risk of chimney fires and damaging your appliance and chimney. Q. What if I can find a similar fire cheaper online? A. purchasing an appliance from an approved retailer (although slightly more costly) has many advantages such as the eligibility of manufacturer warranties; many of the main suppliers do not currently supply to members of the public so it is always an idea to research the reputation of the online supplier. Receiving the full package – Many registered retailers are able to supply their customers with the full package; companies such as ourselves will provide your appliance, a free site survey and installation by a qualified Hetas registered solid – fuel engineer, giving customers one point of call for all of their needs and the option of quality after care services. Q. I don’t have a chimney… can I still have a stove? A. Where there is no chimney present at a property, a rigid twin wall flue system can be fitted. This is something that can be addressed at the time of survey and supplied and installed either at the point of installation or separately.